I first visited Eritrea in 2008 to gather human stories and it was love at first sight. In December 2009 when I landed in Asmara airport for a similar assignment, I felt like I was back home. I spent my first couple of days visiting the irrigation schemes in zoba Debub and then went east to zoba Northern Red Sea where I visited Massawa, the capital city of Northern Red Sea Zoba which is the centre of Eritrea’s fishing industry. Massawa is one of the hottest places on earth, with temperatures soaring well above 40C (104F) and 80% or more humidity for much of the year. Yet, like rest of this beautiful country, it has its charm. 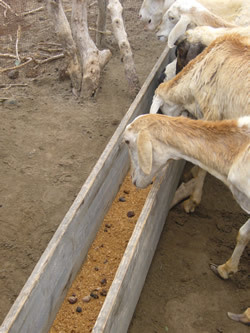 Eritrea is a relatively rich country in terms of natural resources. 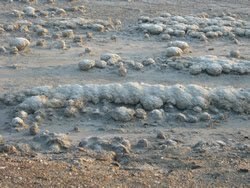 It has gold, potash, zinc, copper and salt. What is perhaps less known is the fact that Eritrea also has significant fisheries resources and that 20% of the coastal population’s livelihoods depends on fisheries. However, unlike the gold or copper, fisheries resources, if properly managed, can continuously provide food, employment and income to the coastal communities. Eritrea’s 1,200km coastline is highly favourable for artisanal fishing offering rich and varied fish stocks and sheltered fishing grounds. Unlike artisanal fishers in other parts of the world, Eritrean fishers have not overexploited their resources and could potentially increase their catch from the few thousand tons per year to at least 40,000 if not 80,000 tons per year. 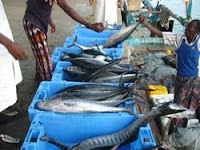 Their fish stocks include lizard fish, threadfin breams, and catfish (soft bottom demersal); snappers, emperors, grunts, job fish and groupers (hard bottom demersal and reef fishes); sardines and anchovies (small pelagic); tunas, mackerels and sharks (large pelagic); shrimp, crabs, lobsters (crustaceans); and squids and octopus and cuttlefish (cephalopods). 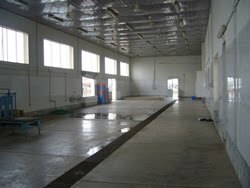 The Government of Eritrea has long recognized this potential and in collaboration with a number of donors such as the African Development Bank and the European Union has built EU standard landing and processing sites. 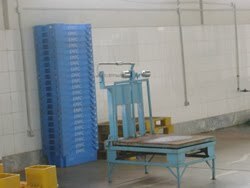 These sites are fully equipped with processing and storage facilities, where trained personnel weigh, process and grade the catch. Eritrea’s fish exports may have been low in recent years (approximately 234mt in 2008), however, thanks to the upgrading of landing and processing facilities, today Eritrea is eligible to export fish products to European Union countries. Eritrean artisanal fishers use two types of fishing boats – houris or sambuks. 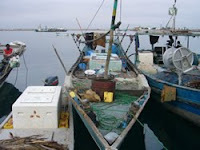 Houris constitute 80% of the fishing fleet. These are wooden boats and measure anywhere between 8-13 metres. It has an outboard engine and can take up to five people on board. Sambuk, 16 metre wooden boat with an inboard engine, constitute approximately 9% of the fishing fleet. Sambuks can take up to nine people on board. The remaining 11% is made up of fibreglass reinforced plastic boats imported from Saudi Arabia or Yemen, although some are also being built in Eritrea. “I have a traditional wooden boat called a houri which I bought thanks to a 5 year loan”, says Ahmed Hamid, an artisanal fisher. “There are three of us and with our boat we can go between 8-10 kilometres from the shore and we can always count on an average catch of 800 kilos”. “We buy ice from Massawa Fish Landing centre for 0.80 nakfa per kilo and use it to preserve the fish on board”, says Hamid proudly. “We sell our entire catch to National Fisheries Corporation which then sells it to processors such as Erifish. 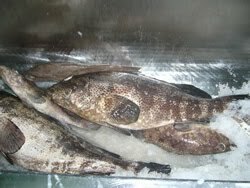 They buy the snappers for 22 nakfa per kilo and the groupers go for 25 nakfa. And we use 20% of our catch to repay the loan”. On the landing site, Hamid and his fellow fishers unload their 800 kilo of first class tuna, snappers, emperor and groupers in big blue containers. Their catch is immediately taken next door to the EU certified Erifish processing plant, where a team of 24 people degut, process and packaged the fish for export. “I have everything I need on my traditional boat – a cellphone, my medical kit and a transistor radio – but I would like to buy fibre glass reinforced boat, so that we can stay a maximum of a month and come back with an average catch of 1.5 tons”, said Hamid with a smile. “And I look forward to the day when I am able to sell part of my catch freely on the market”. In Eritrea, meat is the preferred source of protein. 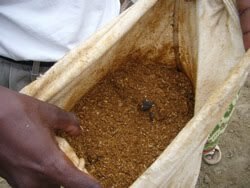 Fish consumption is estimated at 0.5-1kg/person/year which is low compared both to the average Africa consumption, estimated at 8kg/person/year. “We need to encourage our people to eat more fish and to consider fish as an alternative source of protein”, says Seid Mohamed Abrar, Director, Office of the Minister of Marine Resources. 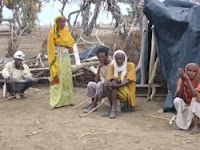 This is why the Government of Eritrea requested IFAD’s assistance to design a fisheries development project to support artisanal fishers in the Red Sea coastal regions. 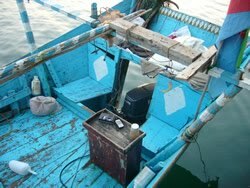 The Fisheries Development Project will build the capacity of fishers such as Hamid and equip them with modern fishing techniques and better and secure boats and fishing gears. 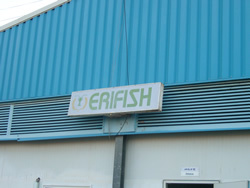 At the same time, the project will encourage private sector initiatives to add value to the processing and packaging process, also build the capacity of Erifish to better market the catch domestically and expand their export markets. To support private sector investment, artisanal fishers such as Hamid will be allowed to sell 20% of their catch to private processors and traders, with the prospect of increasing this percentage as private sector further develops. Last but not least, private sector investment can help transform Eritrea’s Red Sea coast into a flourishing tourist resort, offering spectacular diving opportunities and uncontaminated beaches. 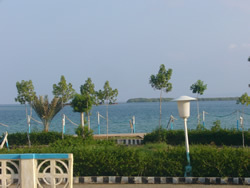 “We can become a viable rival to other Red Sea resorts such as Sharm el-Sheikh”, says a proud Abrar. During World War II Dr Gordon Sato, a biologist spent some time in a concentration camp called Manzanar in California desert. During his internment he developed his vision of eradicating hunger by enabling African nations to feed themselves. He invested half a million dollar of his own money in the Manzanar Project. This visionary philanthropic scientist conceived this project as low-tech solution to hunger and poverty and to combat the impact of climate change, when climate change was neither on the international agenda nor on the talk of the town! The project started during the 30-year war to win independence from Ethiopia. Sato first joined the Eritrean fighters in 1987 and introduced fish farming. He succeeded in growing fish and providing high protein food for the wounded. After the war, he focused on issues related to economic development and applied what he knew best - biological principles - to develop a self-sufficient economy in a country that is prone to drought and famine. 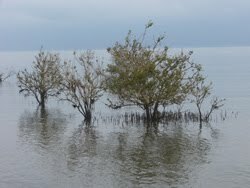 However, soon he saw the potential of mangroves to increase food production all the way up the food chain. 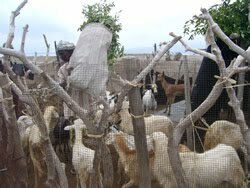 Years later, thanks to the Manzanar project and Sato’s legacy, Eritreans are using fresh leaves and dried mangrove seeds as livestock feed. This project has also taught herders that the seaweed that washes up on shore can be dried, processed and used as animal feed. Ammanuel Yemane, Manzanar project manager, takes pride to showcase Sato’s teaching. Sato and his team reached the conclusion the mangroves were growing in areas where rainwater was washing into the sea. 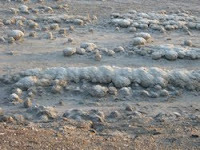 The rain was providing nitrogen, phosphorous and iron - elements lacking in seawater. 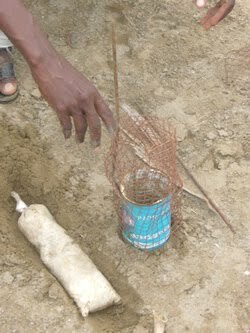 The team buried the seeds with a piece of iron and a punctured bag of fertiliser rich in nitrogen and phosphorous and saw the mangroves flourishing. Through out their history Eritrean people repeatedly have shown their resilience and resoluteness. It goes without saying that they will be able to unleash the potential of their untapped gold mine - their fisheries sector – in the most sustainable manner and as a result contribute substantively to improve the livelihoods of the coastal population and create a vibrant local private sector.